I have the following items for sale. All prices include shipping unless stated otherwise. Accept USPS Money Orders only. I respond to all emails and PMs so if you don’t get a response, please resend. I didn’t get the original message. No OCONUS sale (possible exception HI/AK/APO/FPO, email and we’ll see what we can figure out). All items are listed as new or used with an approximate physical condition. Everything is fully serviceable. I don’t pawn my garbage off on others, just my excess/unused items. Realistic offers and trades may be considered but don't be insulting. No tire kickers please. Serious inquiries only. I don't think it needs to be said but I've got to say it...I am not responsible for the proper use or improper use or misuse of these items. You're all big boys and girls so act accordingly. Blue Water 6mm Accessory Cord, black New on spool. (posted in the picture above) Not sure how much is left. $0.30 per foot. Shipping will be determined by quantitiy purchased or if purchased with other items. 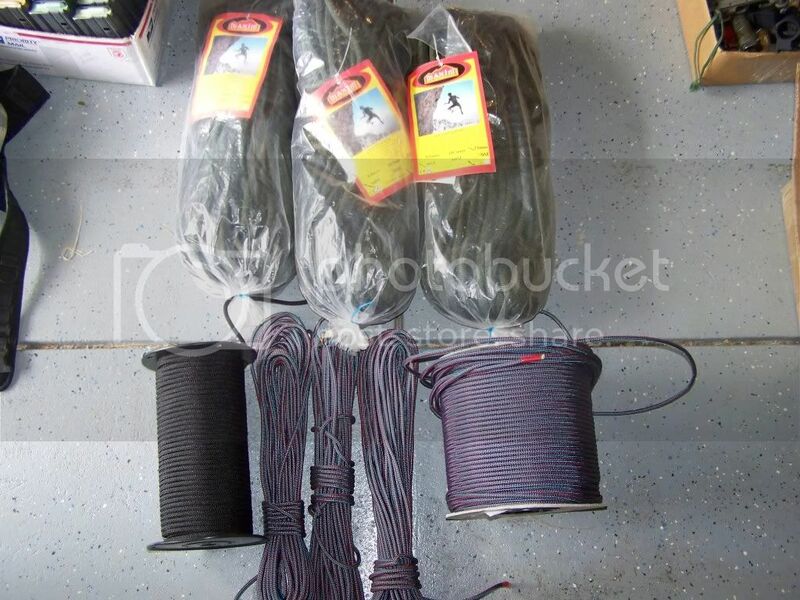 Replacement rope for NERopes Micro Rappel Kit. Purplish rope on spool and in coils. Will post info/prices later. Various climbing accessories. Will post prices later. If interested please email or IM. Only items available are #5. Everything has been sold or traded. Hey, wait a minute, there's no birthday party for me here! -87 to the post count of everyone who posted here. "I suggest you give the tampons back to your sister and spend some of your cigarette money on trauma dressings." 1x#5, #9 and #12.Posting for feedback.